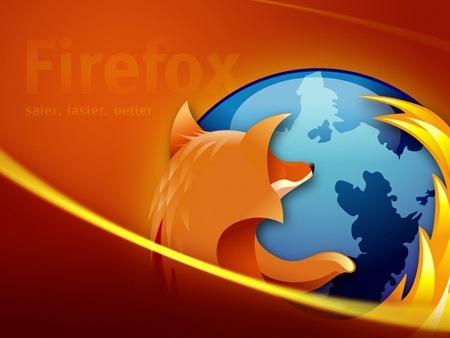 Are you a Firefox browser user, here are some useful Firefox about:config tricks for you, which helps you to change some of the default settings of your favorite Firefox browser. You can change these default options according to your needs. There are thousand of addons are available for Firefox addon, but you can also tweak your Firefox browser with about:config option. The about:config page contains Firefox configuration options, from this page you can modify and do lots of changes on your Firefox Browser. Just type the about:config on your Firefox address bar to access this configuration page. At first time you will receive a warning message. Don’t worry about that and click on I’ll be careful button to proceed. Now you are on the Firefox browser configuration page, here you can change the setting of the browser. Below are some of the tweaks which you can use on this about:config page. 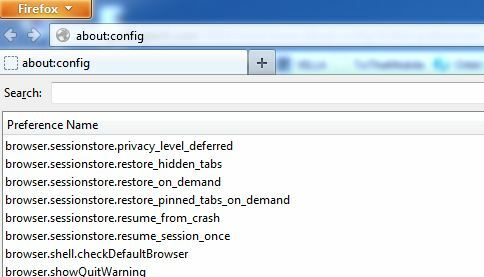 Don’t change any other settings from configuration page, that will damage you Firefox browser. 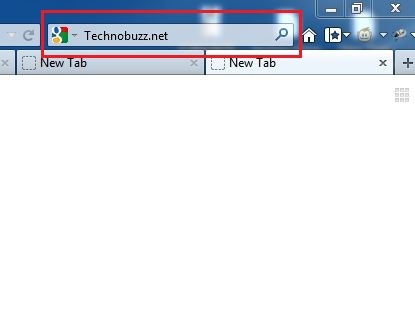 Normally when you press ctrl+tab on your firefox broswer to navigate the open tabs, firefox will will wwitch tab to tab without hsowuin you the current tab preview. With this trick you can see the tab previews while navigation tabs. All you have to change the browser.ctrlTab.previews setting value to true from false. After that you can see all the tabs prewview on the page and navigate between them easily. Whenever you trying to search anything from the search option on your browser, the search results wail open on the same page. Most of the user don’t like that and want to open the search results on the new tab. To do this you have to type browser.search.openintab on about:config page and change the change the value to true, By default it is False, Change it to True. Most of the time you accidentally click on the close X button on tab and don’t like the X close icon on the browser tabs and want to remove that. You can also remove that icon with this simple and neat trick. Go to to the about:config page and type browser.tabs.closeButtons to change the value. If you Change it to 0 it will only show the X on the currently active tab, Setting it to 2 will not display the X on any tabs and with 3 it will remove the X button from all of the tabs and display a single close button at the end of the tab strip. 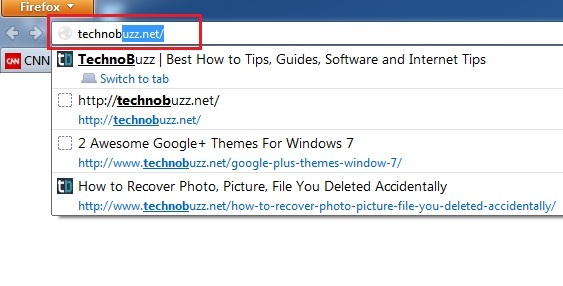 Whenever you are trying to type any url on your Firefox browser, it typed the the URL automatically from your history. If you want to disable that feature type browser.urlbar.autofill and change the value to False, by default it was true. Whenever you are trying to type a URL on your browser at that time address browser dropdown menu give you some suggestion based on your browser history. At that time it whos you lots of URL in the dropdown menu, you can set the limit to show those URL as a suggestion. Type browser.urlbar.maxRichResults and set the number of suggestions you would like to see, in the below screenshot we are using the 2. That’s it now enjoy the Firefox with these latest tweaks, Do you know of any other useful Firefox about:config tweaks. Share them with us in the comments!